Greek Finance Minister George Papaconstantinou has the European Central Bank over a barrel and doesn’t even know it. If he had a handle on the situation, he’d thumb his nose at the ECB’s austerity measures, and demand a no-strings-attached loan package to help his country get through the current rough patch. Instead, he’s carrying on like a faint-hearted schoolboy. Papaconstantinou is concerned that Greece’s dire economic situation will lead to default and capital flight. But his fears are overblown. The ECB is not going to let Greece default and trigger another Lehman Brothers-type meltdown. That won’t happen. The Finance Minister needs pull himself together and realize that he’s in the cat-bird seat. 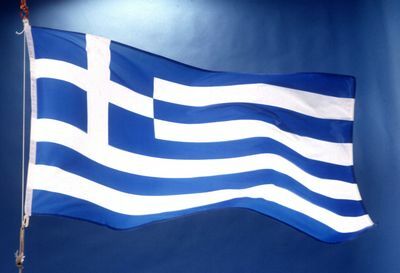 Greece’s problems began to snowball on Monday when Fitch Ratings cut their debt rating from A- to to BBB+ . That means it will cost the government more to refinance its debt in the future, and that the ECB may not accept Greek government bonds as collateral when they return to the pre-crisis rules in 2011. The news put global shares into a tailspin and the volatility has continued through midweek. The ratings flap has rekindled fears of a sovereign default within the EU, which is why the markets are so jittery. According to Bloomberg: “The European Commission “stands ready to assist the Greek government in setting out the comprehensive consolidation and reform program, in the framework of the treaty provisions for euro-area member states,” said Joaquin Almunia, who is in charge of economic and monetary affairs, in a statement late yesterday. He didn’t say what form any assistance could take. Almunia’s comments come as investors debate whether EU governments would bail out Greece if it was unable to pay its bills. Former German Finance Minister Peer Steinbrueck said in February that euro members would “in reality” rescue states in difficulty. Almunia said yesterday Greece “is a matter of common concern” for euro nations, echoing language he has used since November. He didn’t elaborate further. The problem is, that budget deficits should expand during an economic downturn, that’s how stabilizers work. They keep spending fairly constant which maintains aggregate demand. If Papaconstantinou follows Brussels directive, he will further weaken the economy and deepen the recession. This is the fundamental issue with neoliberal solutions; they only make matters worse. Papaconstantinou’s Socialist government was elected promising higher spending and wages. They should stick with their programs and let the chips fall where they may. The ECB has no cards to play. If the European Commission doesn’t come up with a rescue package fast, global stock markets will tank, the dollar carry trade will reverse, and all the mini-bubbles in commodities, stocks and housing will violently burst. “Is the Greek government close to default? Answer: not even near it. The ECB will not allow that to happen. It would destabilize the Euromonetary system. The financial crisis has exposed the cracks in the arrangement. But as long as the citizens do not revolt as the real sector is squeezed the ECB will keep funding the Greek government. The alternative is to leave the EMU and restore currency sovereignty. Even though this would be a difficult transition back to the Drachma it would be a path worth taking in my assessment. I would also relieve all voluntary constraints which force debt-issuance and restore domestic demand and employment. But that will not be an option the Greek government takes. Their northern neighbours will make it very difficult for them to do that even if it means compromising the rules of the EMU. Greece’s problems are just the tip of the iceberg. Portugal is next in line. All of the so-called Club Med countries (Portugal, Spain, Italy and Greece) have serious debt-overhang problems that could lead to default if the right policies are not put in place. The magnitude of the crisis has exposed the vulnerability of the eurozone system. Critics have begun to question the feasibility of the EMU (European Monetary Union) where the needs of the individual members are so dramatically different. Perhaps a “one currency” system is not the best way to go, after all. “The massive build-up of sovereign debt as a result of the financial crisis and especially as a result of the severe contraction that followed the crisis, makes it all but inevitable that the final chapter of the crisis and its aftermath will involve sovereign default, perhaps dressed up as sovereign debt restructuring or even debt deferral…. Buiter is overly pessimistic. Greece’s problems can be fixed and so can the EU’s. ButPapaconstantinou is not doing anyone a favor by caving in to the ECB’s demands to slash public spending. He’d be better off standing firm and waiting for concessions from Brussels. Sure, Greece can go the way of Ireland and push the country into a full-blown depression to satisfy the EU deficit hawks, but whatever for? If there’s no policy accommodation for the smaller states that don’t have mammoth export industries, like Germany, then they’d be better off leaving the EMU altogether and restoring their former currencies. No country should be shoved into a fiscal straitjacket if they don’t have to be. EU powerbrokers have big plans for the region, which is why the Lisbon Treaty was recently ratified despite its widespread unpopularity. The bankers and business tycoons are not going to let Greece wreck their dream of a Corporate Uberstate by defaulting on their debt. That means Papaconstantinou is in an excellent position to set the agenda and insist on a multi-billion rescue package. If he plays his cards right, he’ll get whatever he wants.